The Edge. Well kept by the original owner and freshly painted. Open concept, 9' ceilings, w/large kitchen and all high end finishings: granite counters, top line appliances, dark wood cabinets, laminate flooring. Powder room on the main level and electric f/p in living room. 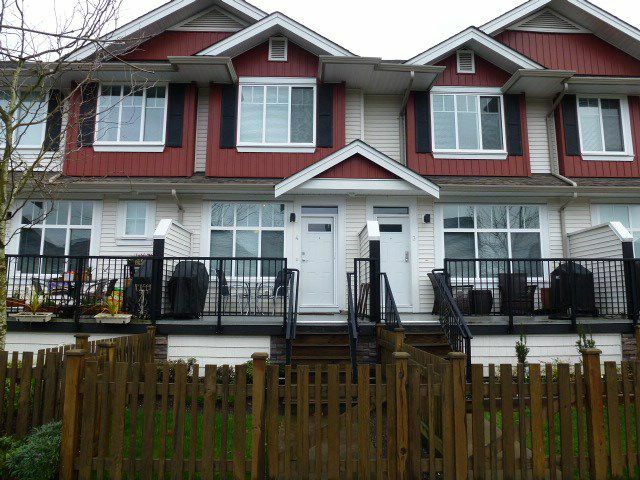 Three bedroom upstairs, spacious master bedroom with double sink in ensuite. Forced air (N/Gas) heat (n/gas h/w heater) on main w/electric heat up. Enter off the street w/a fenced yard. Central to everything.